Fishing Equipment Highest quality sport fishing equipment available. Air-conditioned luxury sportfisher carries 6 anglers and 2 crew, powered by 435hp Caterpillar diesel engines making it fast and comfortable. We will fillet servings for 20 from the fish you caught under 100 lbs to take with you from your private charters and we will fillet servings at 1-2 lbs per person from fish caught under 100 lbs on shared charters. 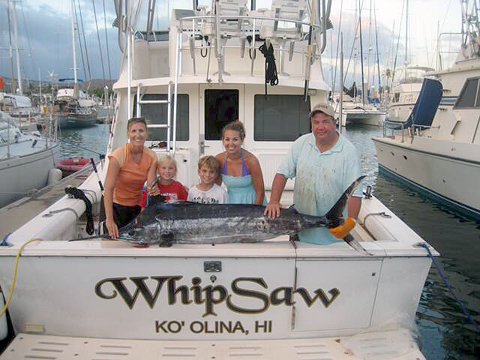 Company Name Whipsaw Sport Fishing Inc.